Wooooeeeeee, this week has been a doozy. These long, stressful work days have been taking their toll, and I keep daydreaming about that amazing Creme Brulee I made on Saturday. You know - the recipe I only got five bites of because of my body's ridiculousness with dairy. Le sigh. 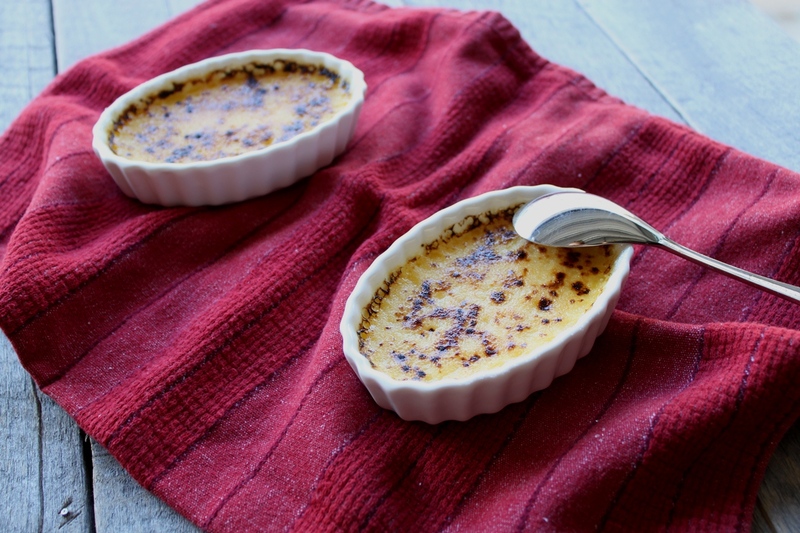 I'll be honest - the first time I made Creme Brulee, I was freaked out about it. 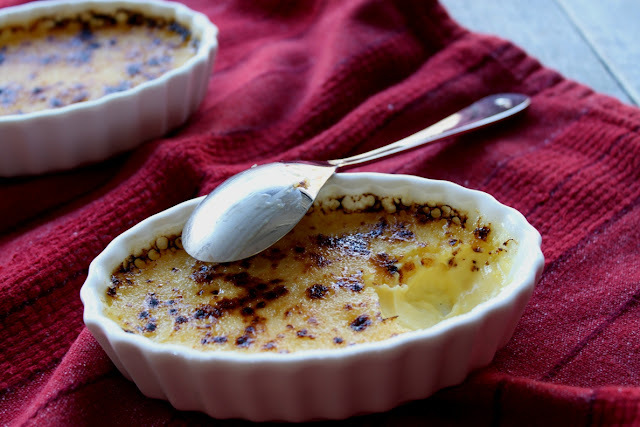 But really, you just whisk a few ingredients and bake it in ramekins set in a water bath. After they're chilled, bust out your trusty kitchen torch and give it a crunchy topping. Done! Preheat oven to 300 degrees. In a large bowl, whisk together egg yolks and 1/3 c. sugar until the sugar has dissolved and the mixture is thick and pale yellow. 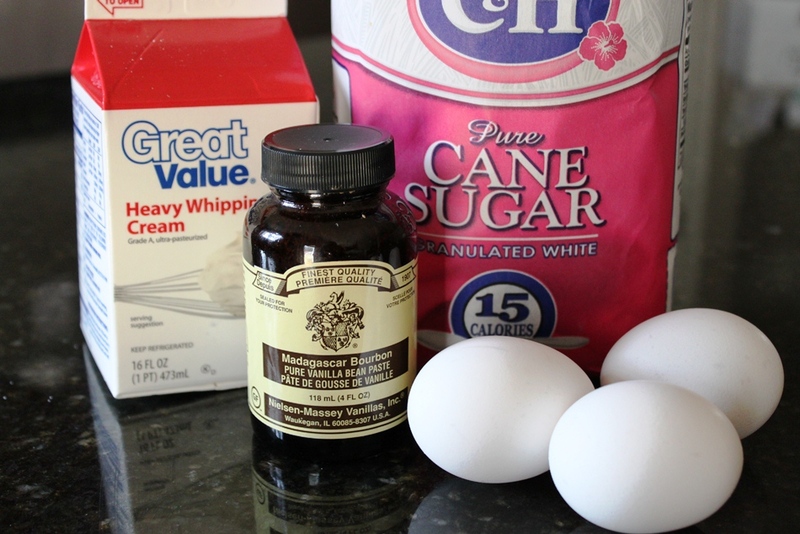 Add cream and vanilla, and continue to whisk until well blended. 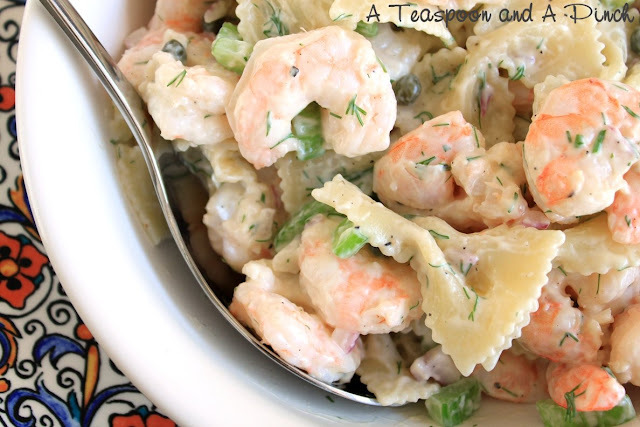 Strain into a large bowl, skimming off any foam or bubbles. Place a paper towel into a large baking dish and arrange 6 ramekins in it spaced evenly apart. 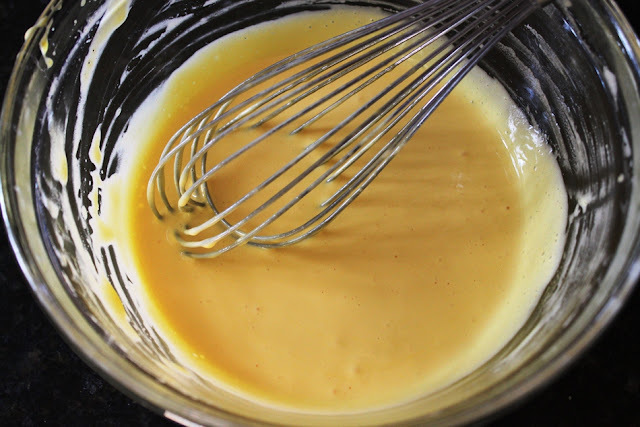 Divide egg custard mixture among the ramekins. 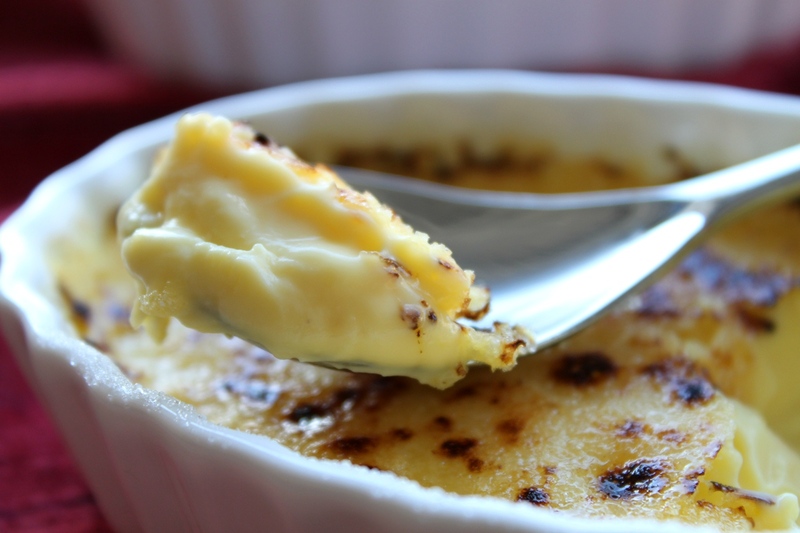 Place baking dish on middle rack of oven, and fill the dish with warm water, until the level reaches halfway up the sides of the ramekins. 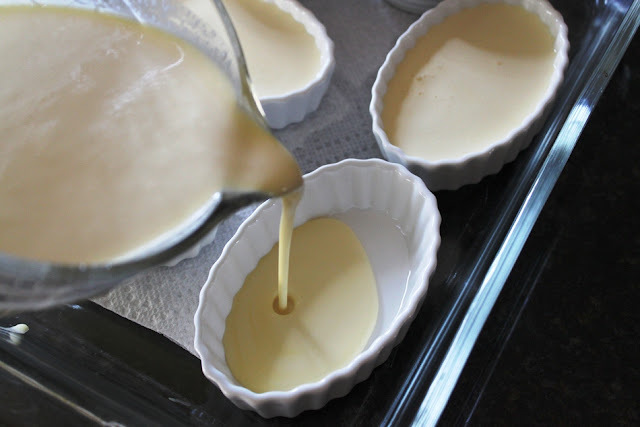 Bake until custards are set around the edges, but still loose in the center, about 40-50 minutes. 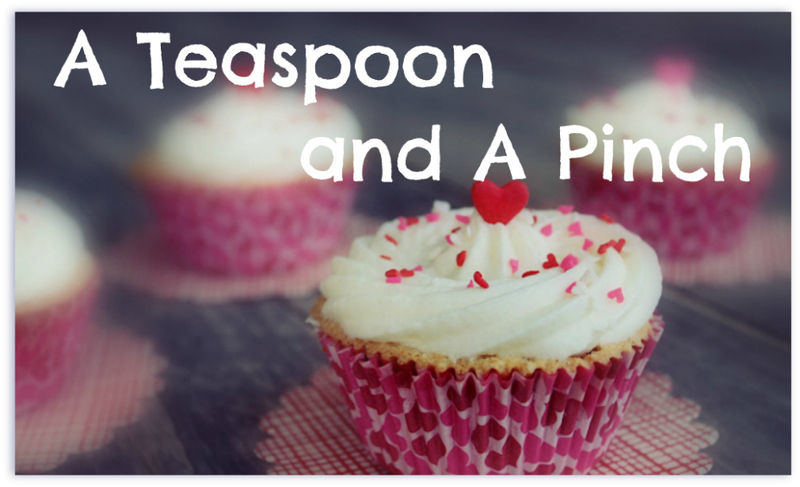 (Longer baking time may be necessary for larger or deeper ramekins.) 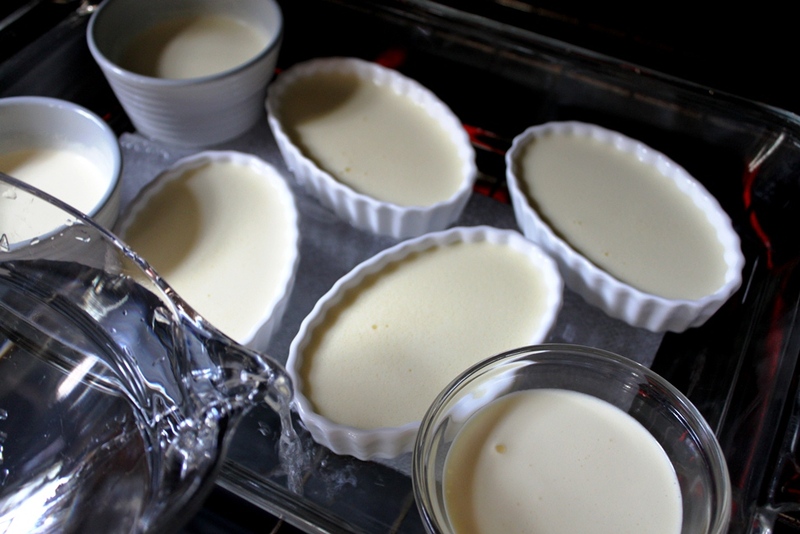 Remove baking dish from the oven and leave ramekins in the water bath until cooled. Remove from water bath and chill for at least 2 hours, or up to 2 days. 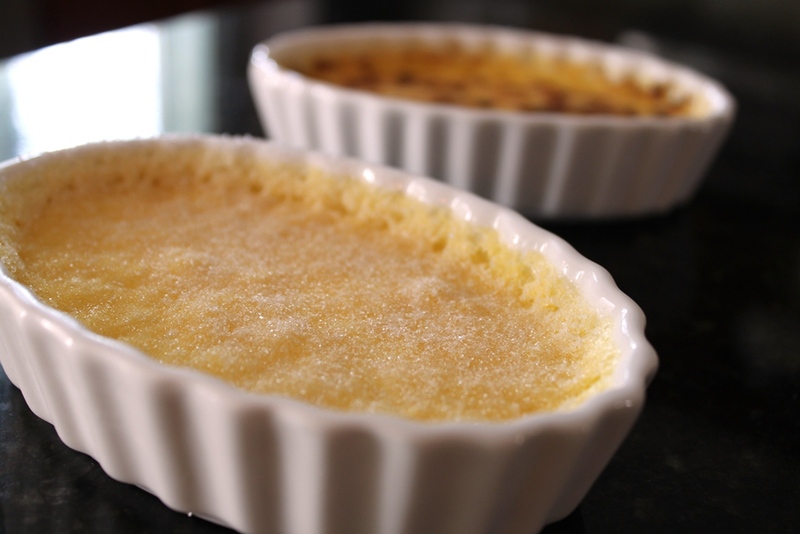 When ready to serve, sprinkle about 2 teaspoons of sugar over each custard. 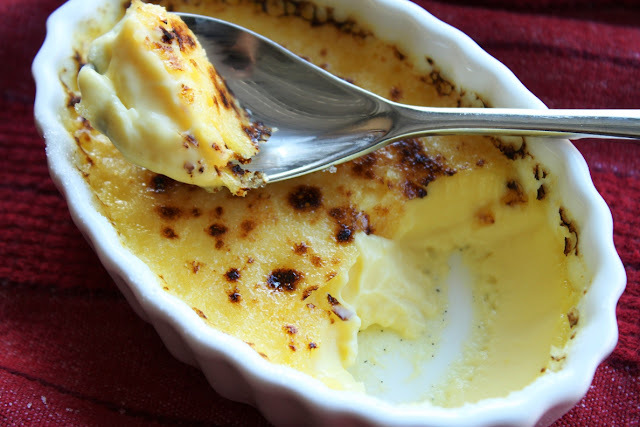 Use a kitchen torch to melt sugar, or place under a broiler until the sugar melts. Re-chill custards for a few minutes before serving. Makes 6 individual custards. 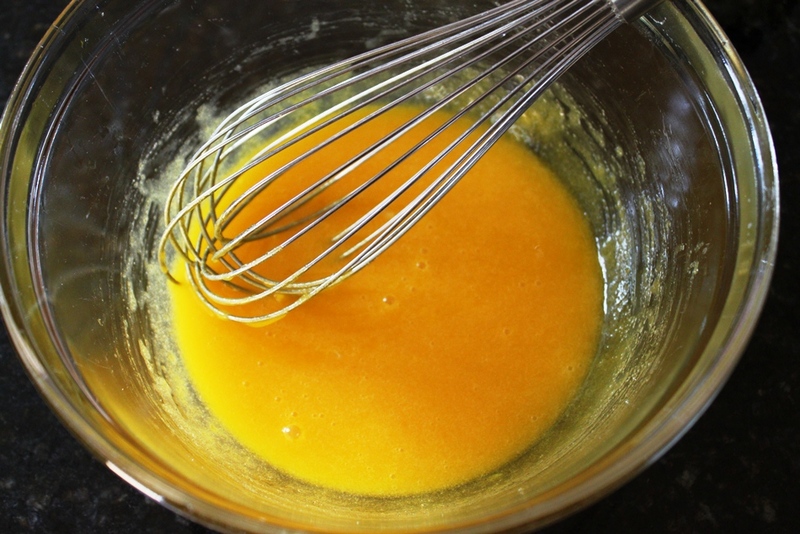 When you first mix the sugar into the egg yolks, it's a dark yellow color. 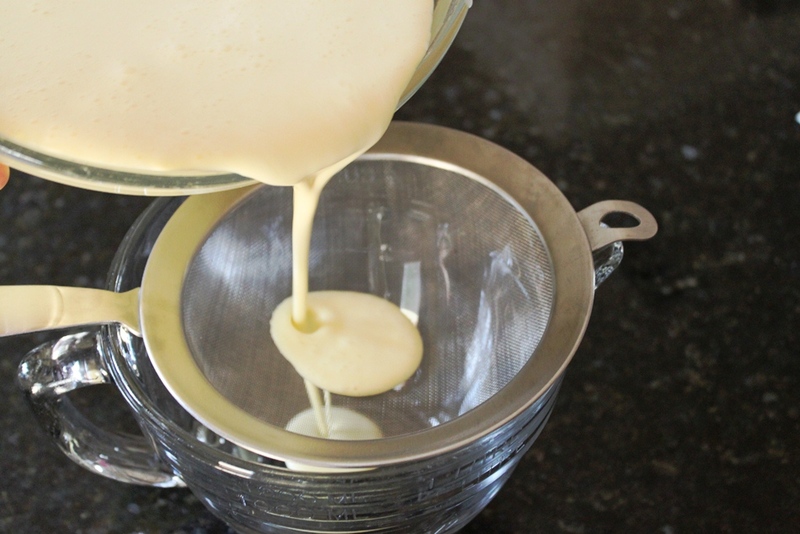 After whisking, the mixture will turn pale in color and become thicker. Pour the custard mixture through a fine mesh sieve to strain. Place a paper towel into a large baking dish and arrange ramekins evenly spaced. Pour custard mixture into ramekins to half full. Place the baking dish onto the middle rack of your oven and pour in warm water so that it reaches halfway up the sides of the ramekins. Divide sugar among the 6 ramekins and use a kitchen torch to melt the sugar.